I completely agree! Each day is a blessing! It is…time goes by so quickly, things change in hours. I intend to think good thoughts today, pray for those I love, and just keep doing the very best I can in all things. 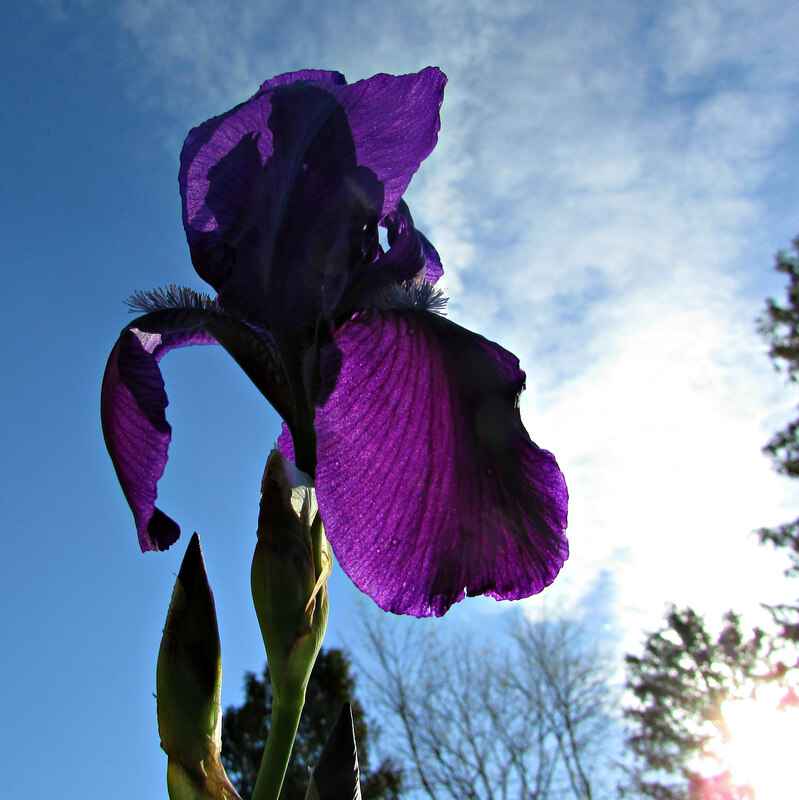 There is something special about purple iris. Regal….comes to mind. There is a sadness about the fire. This glorious work of art survived two world wars plus coutless others. It is impossible to count the cost. I just listened to the mid-day news and it seems some things are saved…maybe the organ they said. I hope they were able to remove more than it appeared at the start. The purple iris is truly majestic. About the Notre Dame Cathedral, the details are shocking but it reminds us that we must not set our hearts on manmade monuments but focus on the heavenly ones that praise God. I have seen this Cathedral from the outside but was not impressed to tell the truth.